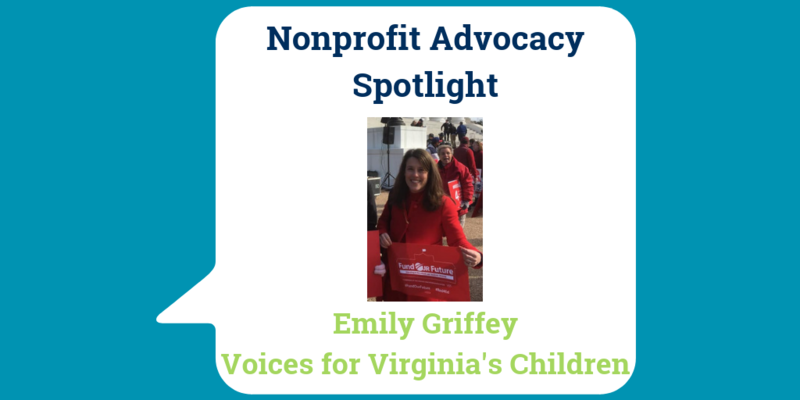 Emily Griffey is the Policy Director at Voices for Virginia’s Children. Founded in 1994, Voices for Virginia’s Children is the commonwealth’s only independent, multi-issue child policy and advocacy organization. They are home to the KIDS COUNT data center for Virginia, which includes more than 200 state- and locality-level indicators on child well-being over time. Using this data and independent policy research, they determine unmet needs and threats to child well-being, recommend sound policy solutions, provide objective input to policymakers, and educate and mobilize leaders and concerned citizens to support policy initiatives. Emily leads the policy team to develop a nonpartisan and cross-cutting state-level policy agenda for children’s issues. 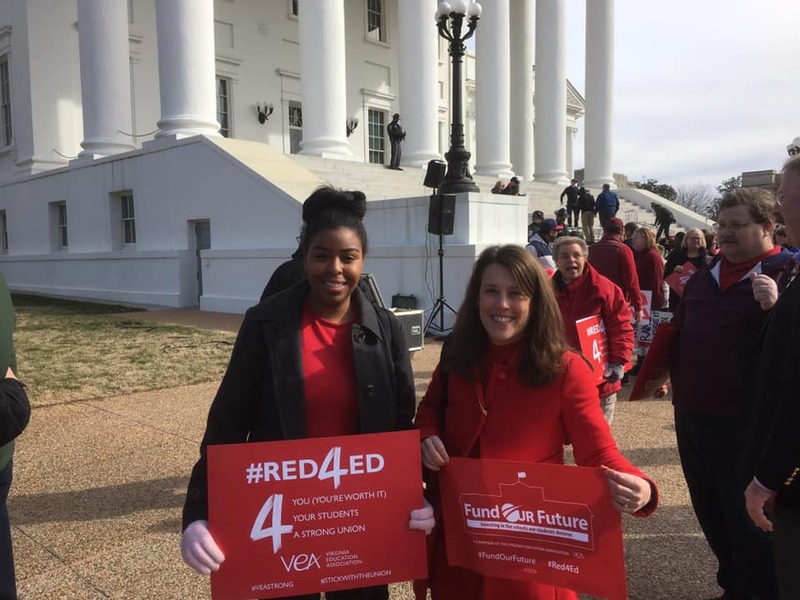 She advocates with the Virginia General Assembly for the most vulnerable children— those experiencing economic hardship, children in foster care, children with mental health challenges and babies and preschool-aged children. 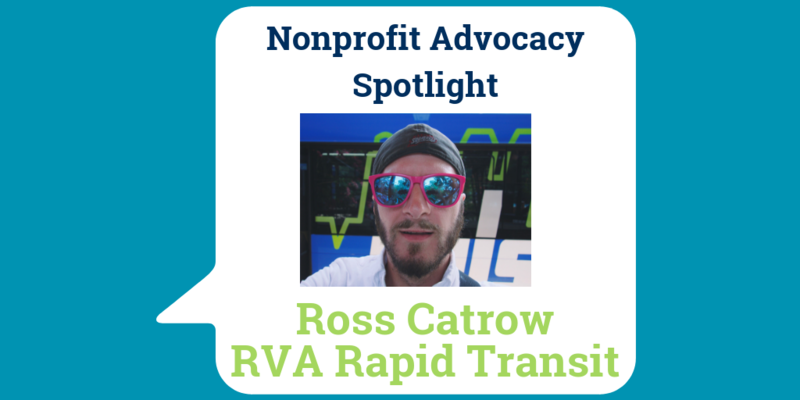 Read more about local nonprofit advocate Ross Catrow, Executive Director of RVA Rapid Transit. The Help Somebody Hall of Fame celebrates and recognizes good people doing good work in RVA. 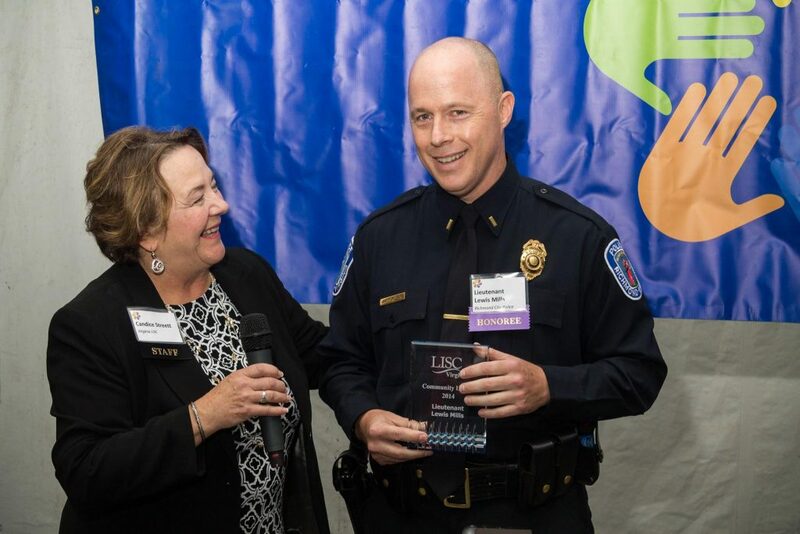 We encourage our readers to nominate nonprofit staff, volunteers, board members and community members who are making a positive difference locally. This month, we are recognizing Lisa Hardy, RN, who is a volunteer with Postpartum Support Virginia – a nonprofit whose mission is to help new mothers and their families overcome postpartum depression and other perinatal mood and anxiety disorders. Lisa leads a support group for women experiencing postpartum depression and related perinatal mood and anxiety disorders (PMADs). PMADs are the number one complication of pregnancy and childbirth, affecting at least 1 in 5 new mothers. Lisa knows firsthand about PMADs as she survived postpartum depression and anxiety when her son was born 18 years ago. Lisa’s experience led her to a career in nursing (she is a nurse at Bon Secours St. Francis Medical Center, delivering babies and helping women become new mothers) and eventually to find Postpartum Support Virginia to learn more about PMADs. Lisa single-handedly has changed the way St. Francis addresses PMADs. In the last two years, Lisa has started a twice-monthly support group for women experiencing PMADs, taught other nurses how to discuss these illnesses with new mothers and how to screen for them, and provided training sessions to obstetricians and pediatricians so they can also screen new mothers. The St. Francis support group has met every two weeks without fail for 18 months, providing direct support to 25 new mothers. 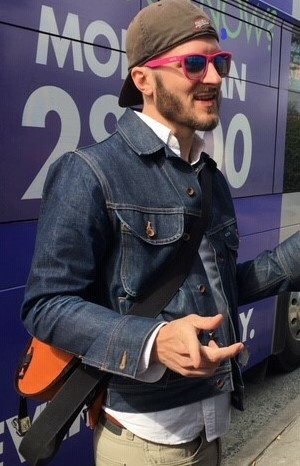 The photo was taken at AWOHNN in June of 2018. 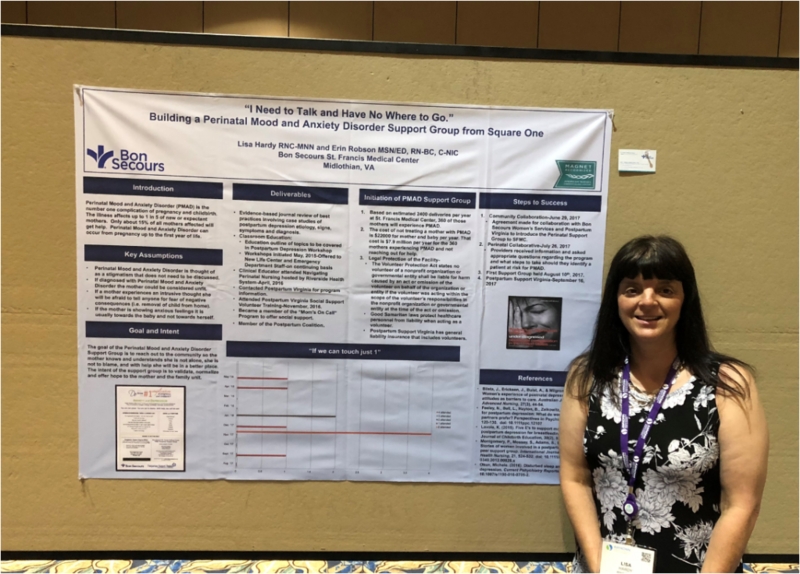 AWOHNN is the national conference for women’s health where Lisa did a presentation for what St Francis Medical Center is doing with support groups for moms with perinatal mood disorders. Medical professionals who once were fearful of discussing mental health issues with their maternity patients now have the education, skills, and resources to address these important issues head-on. Doctors who told Lisa that this couldn’t be done now fully support these important initiatives. Lisa gives freely and generously of her time, following up with new mothers who are struggling with anxiety or depression, supporting them in person as well as via phone, text, and email. Lisa has taken her personal experience with postpartum depression and anxiety to create a system of support for new moms and families. Lisa’s generosity of time and talent has resulted in tangible impact, locally and across Virginia. Now, all women who deliver babies at Bon Secours St Francis Medical Center (approximately 1,800 each year) are screened for postpartum depression and related illnesses prior to discharge from the hospital. Treating postpartum depression saves money. The cost of not treating these issues is $22,000 per mother/infant pair, so screening and treating these illnesses saves Lisa’s hospital almost $9 million a year. Other hospitals in the Bon Secours Health System are following Lisa’s lead by implementing support groups and screening women, including St. Mary’s Hospital in Richmond and Mary Immaculate Hospital in Newport News. 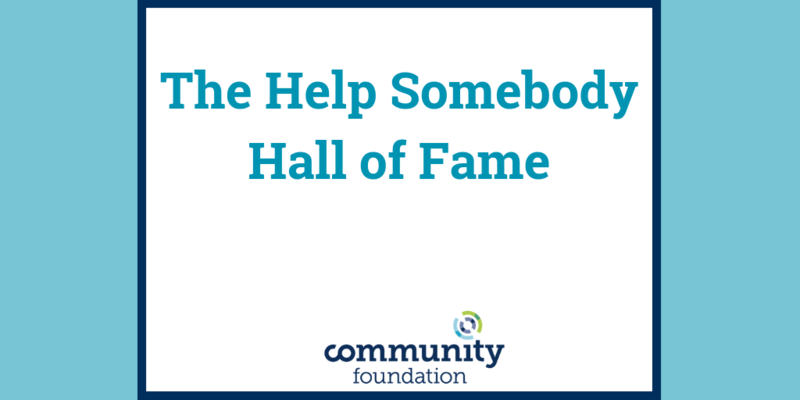 The Help Somebody Hall of Fame is a platform to express gratitude for a person in the community who acts selflessly to improve the lives of others. We want to share these stories in hope of inspiring more people in Greater Richmond to act with generosity. There will be random drawing each quarter from those who are honored, and two honorees will select a nonprofit of their choice to receive $1000. Read more about how to nominate someone here. 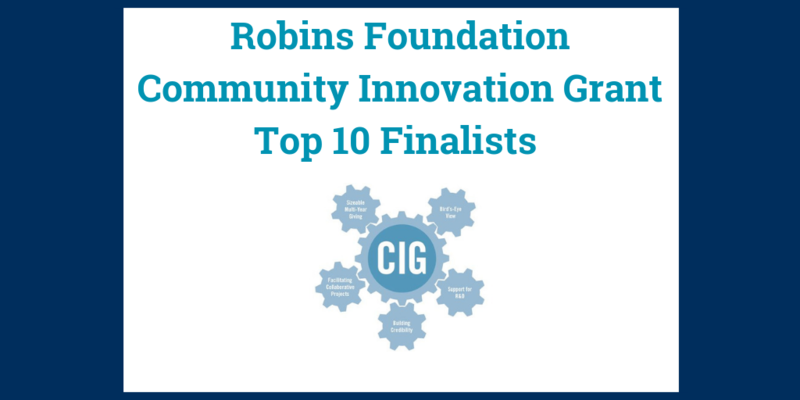 In late January, the Robins Foundation announced the top 10 nonprofit organizations for their 2019 Lora M. and E. Claiborne Robins, Sr. Community Innovation Grant (CIG). 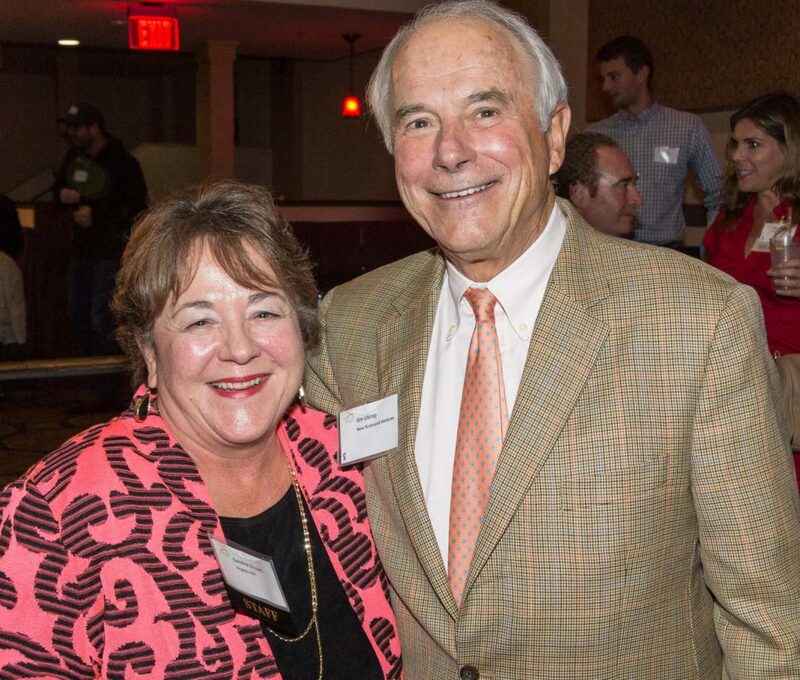 The CIG, named for Robins Foundation’s founders, seeds one $500,000 proposal that celebrates the imaginative, cooperative spirit of Greater Richmond. The award is designed to launch projects that offer better solutions to complex issues in emerging neighborhoods, and show innovation in programs, process, partnership and/or policy. Below are more details about the projects that are being considered for the CIG. 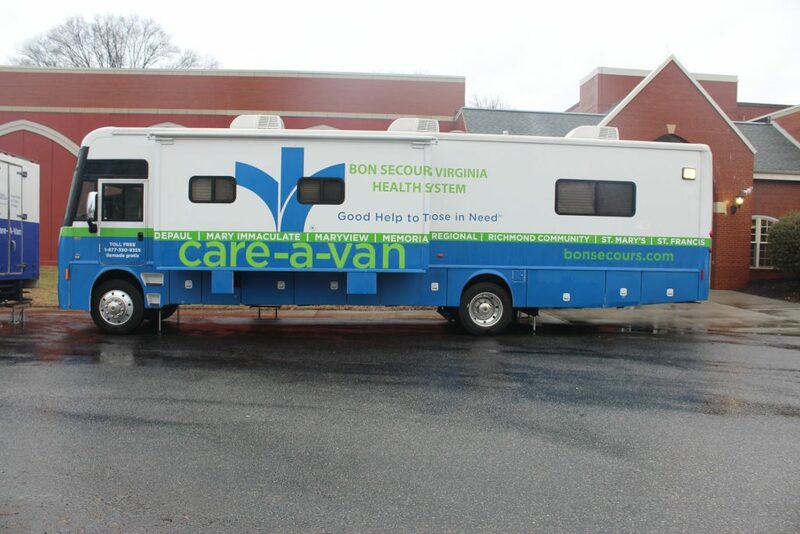 Urban Baby Beginnings seeks to expand the services offered by Bon Secours’ Care-A-Van to include high-quality maternal health services, which will provide access to physicians, midwives, social workers, nurses, and community agents who specialize in maternal and postpartum health. Perinatal health workers, lactation consultants, education classes, support groups, and home visiting programs will address the barriers that cause isolation among expectant and postpartum families. This work includes establishing a community garden to focus on prenatal and postpartum health and nutritional awareness. Additionally, the community will have access to a workforce innovation program; training mothers who have graduated in the program as Perinatal Health Workers, Certified Lactation Consultants, and Community Health Promoters. Additionally, this initiative will facilitate a workforce innovation program which will train mothers as Perinatal Health Workers, Certified Lactation Consultants, and Community Health Promoters. Photo courtesy of Robins Foundation. Commonwealth Catholic Charities, in partnership with Advocates for Richmond Youth and VCU School of Social Work, plans to create the Youth Housing Stability Coalition Hub. This physical and virtual hub will meet the immediate needs of youth experiencing housing instability; support the implementation of a coordinated, community-wide housing plan; and conduct research, training, and technical assistance. Through this effort, these partners are working to reduce the amount of time that young people experience housing instability. Additionally, the project will support an increase in community knowledge about the needs and experiences of youth facing this issue, along with consistent evaluation strategies among stakeholders serving this population. 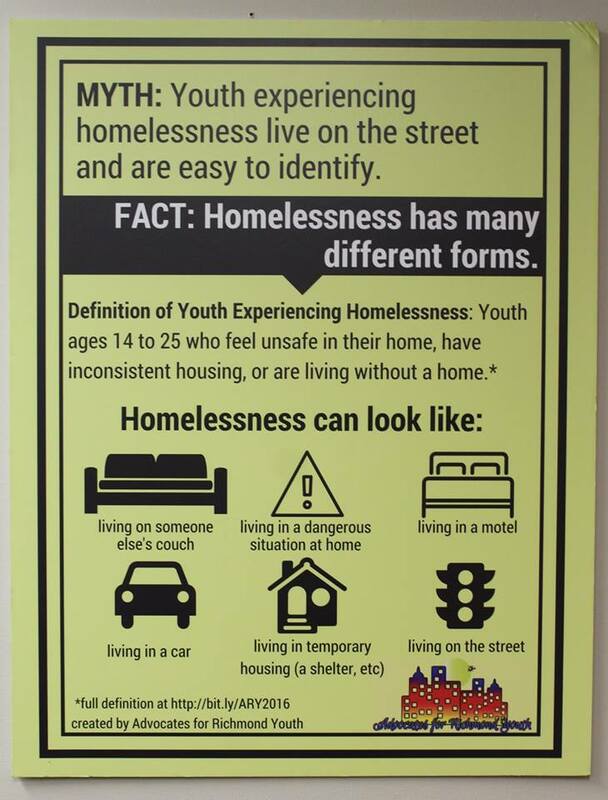 In the long term, this strategy will result in the development of best practices for serving youth experiencing housing instability and additional policy change. 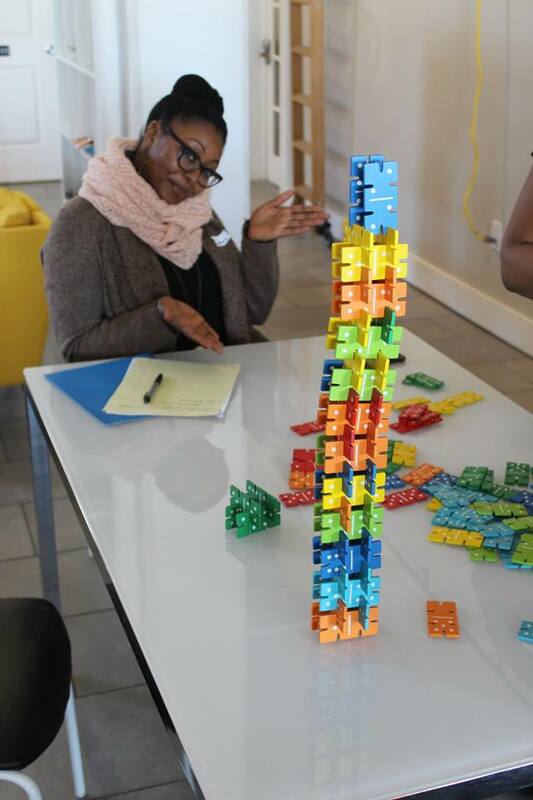 The Girls For A Change TECH/Entrepreneurship Immersion Lab focuses on the economic and educational empowerment of Black girls and other girls of color in the Richmond area. Their goal is to establish a dedicated space for girls that offers tech training and industry-recognized certifications, positioning these students to engage with a variety of work opportunities including those in co-working spaces, home employment and virtual employment. This project will directly serve 40 girls via the Immersion Lab and the expansion of the 9th/10th grade tiers of the Girl Ambassador program. 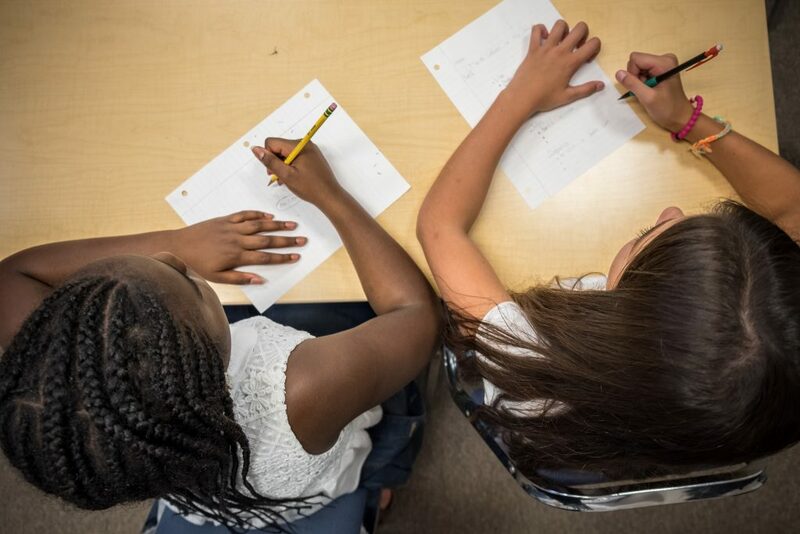 After the Immersion Lab operations settle into routine, the girls plan to offer tutoring and special events at the Lab, impacting at least another 200 young people. Goodwill of Central and Coastal Virginia will renovate a 6,200-square-foot building, adjacent to their Richmond Support Center on Midlothian Turnpike, into a state-of-the-art Center for Building and Construction Trades. The goal of the Trades Center/C3 initiative is to strengthen, expand and sustain C3’s program partnerships to improve education-to-employment outcomes for students from emerging populations enrolled in a range of high-quality credentialing programs in industries with career advancement opportunities. This will help ensure that job seekers enter career pathways that lead to economic stability while addressing the skills gap in the local construction industry. 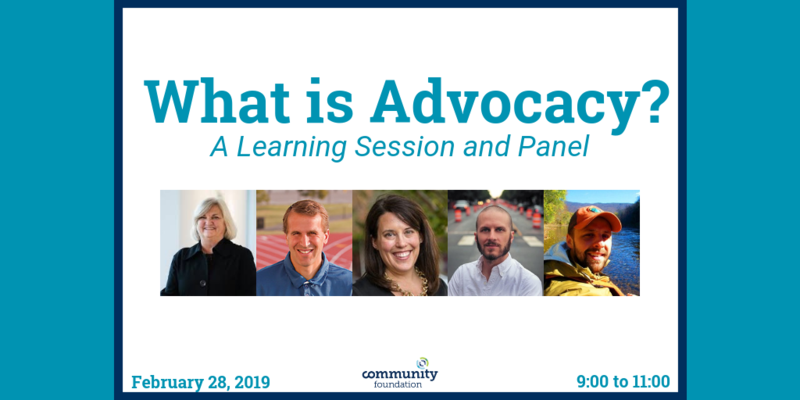 Housing Opportunities Made Equal of Virginia (HOME) and Central Virginia Legal Aid Society (CVLAS) have a long history and multi-faceted consumer advocacy approach to serving low-income and minority populations. Currently, there are no eviction diversion programs in the state of Virginia and only three known programs across the United States. 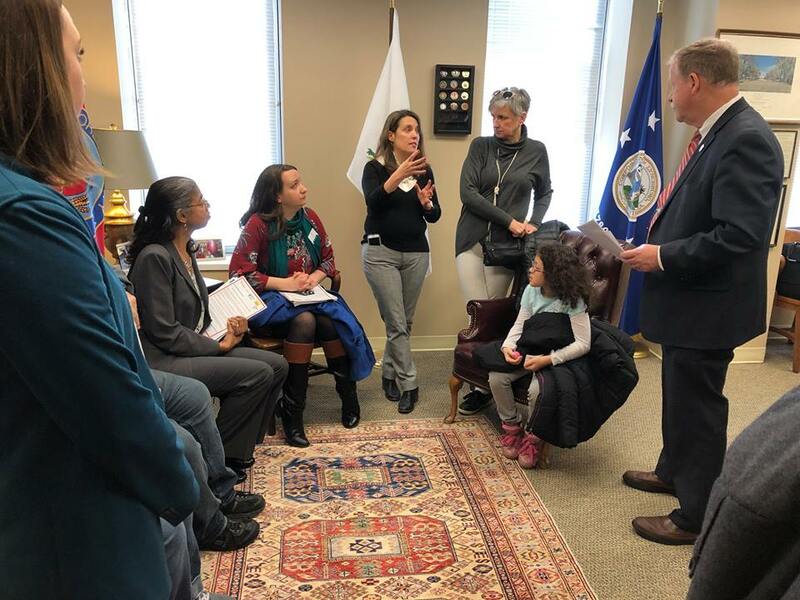 This proposed program is geared toward families and individuals who can afford their rent but fell behind after an unexpected financial emergency, such as a car crash or medical problem. By establishing a settlement with the landlord through this program, tenants are spared a negative judgment on their court records which could make it more difficult to find apartments in the future. Both organizations offer educational services to low-income citizens on landlord-tenant conflicts, housing discrimination, public housing, subsidized housing, and affordable housing. Partnerships between the Institute for Public Health Innovation and local city and county governments have led to the Equity and Health in All Policies Leadership Institute (EHiAP) project, which seeks to harness the influence that local governments have in shaping social determinants of health. Research has identified seven strategies for implementing health in all policies: developing and structuring cross-sector relationships; incorporating health (and equity) into the decision-making process; enhancing workforce capacity; integrating research, evaluation, and data systems; synchronizing communications and messages; implementing accountability structures; and coordinating funding and investments. Funding will be used to create a yearlong training institute for local government staff. 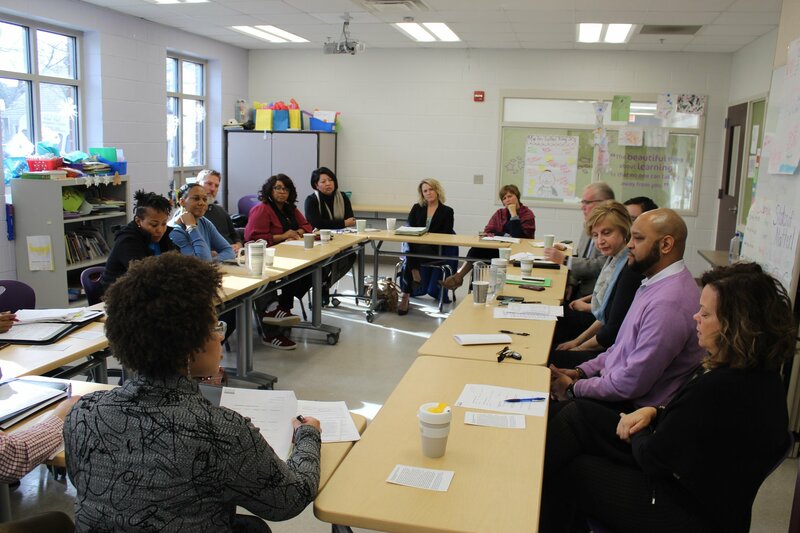 This institute will support localities in the Richmond region as they utilize these seven strategies to create cross-sector policies, programs, and services that address local priorities and promote equity, health, and quality of life among children, families, and communities. 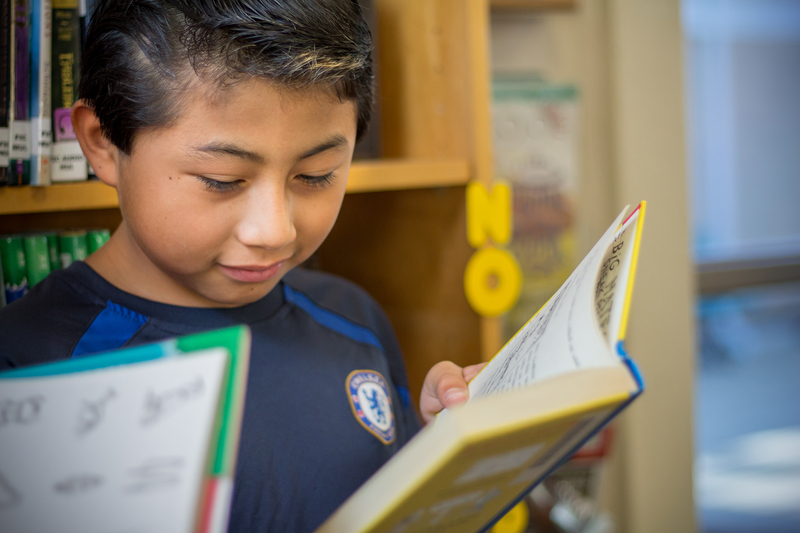 The Literacy Lab has launched a Leading Men Fellowship in Richmond. Through this program, the organization recruits promising young men of color who have recently graduated from Richmond Public high schools but are not yet on the path to college. These men will serve as pre-K literacy tutors in high-need early childhood classrooms for a full school year. Fellows receive a living wage and transportation benefits and are eligible for a Higher Education Award upon completion of the program. To ensure that Fellows have the continuum of supports they need to become successful college students and teachers, the organization aims to partner with nonprofits and post-secondary institutions to create additional services that will prepare and connect Fellows to college and career opportunities. project:HOMES and the Manufactured Home Community Coalition of Virginia (MHCCV) propose the Reimagining Richmond’s Mobile Home Parks Project. 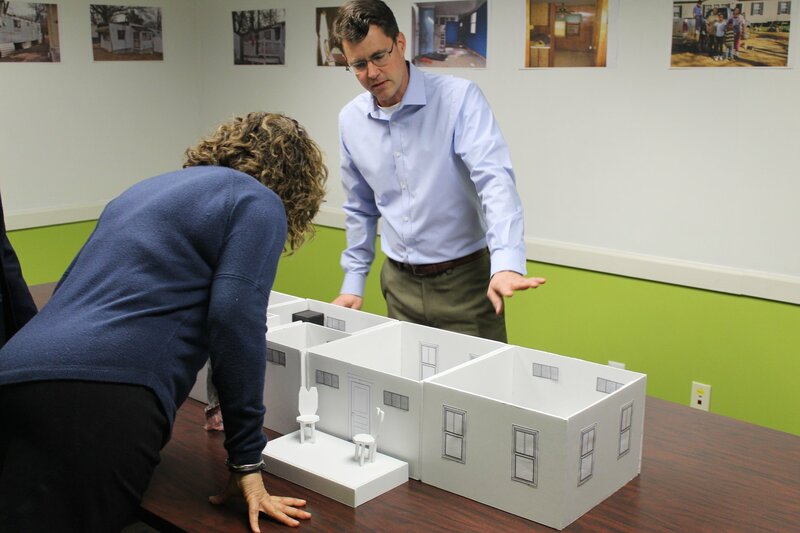 Their goal is to produce small, thoughtfully designed homes to replace dilapidated or vacant mobile homes, destigmatizing one of the most affordable forms of housing. The high-quality, energy-efficient replacement home design will be extremely affordable for underserved families making 50% or less of the Area Median Income. Historically, manufactured homes do not appreciate as well as site-built homes. 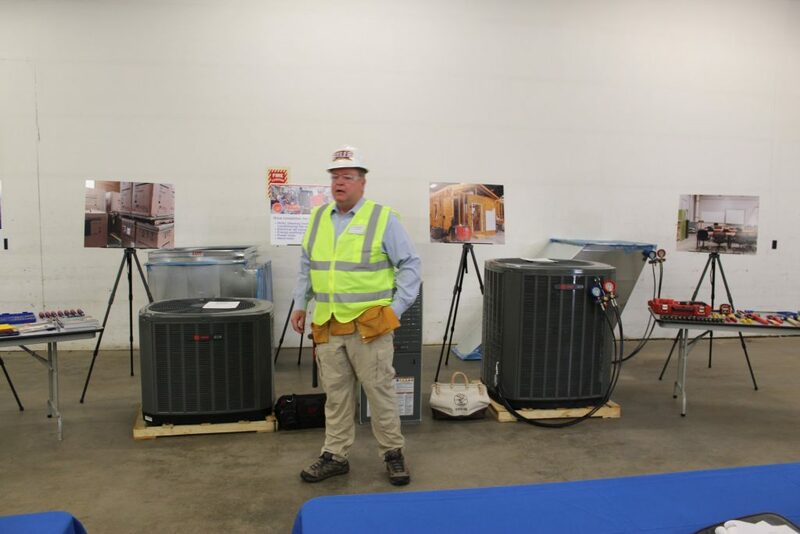 This program hopes to turn a depreciating asset into an appreciating asset through use of high-quality energy-saving materials and potentially incorporating solar panels. Funding will pilot this project, including land acquisition, construction plans, architectural consulting, energy-saving measures, and materials. The project will act as a catalyst for future development in Virginia by creating an environmentally friendly, extremely affordable mobile home model. 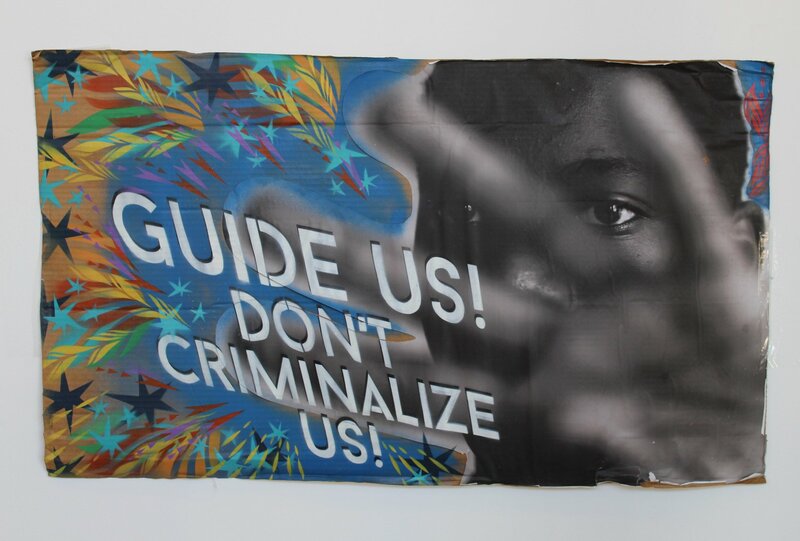 The RVA YouthPB project is dismantling youth prisons and the school-to-prison pipeline by promoting the creation of community-based alternatives to youth incarceration. 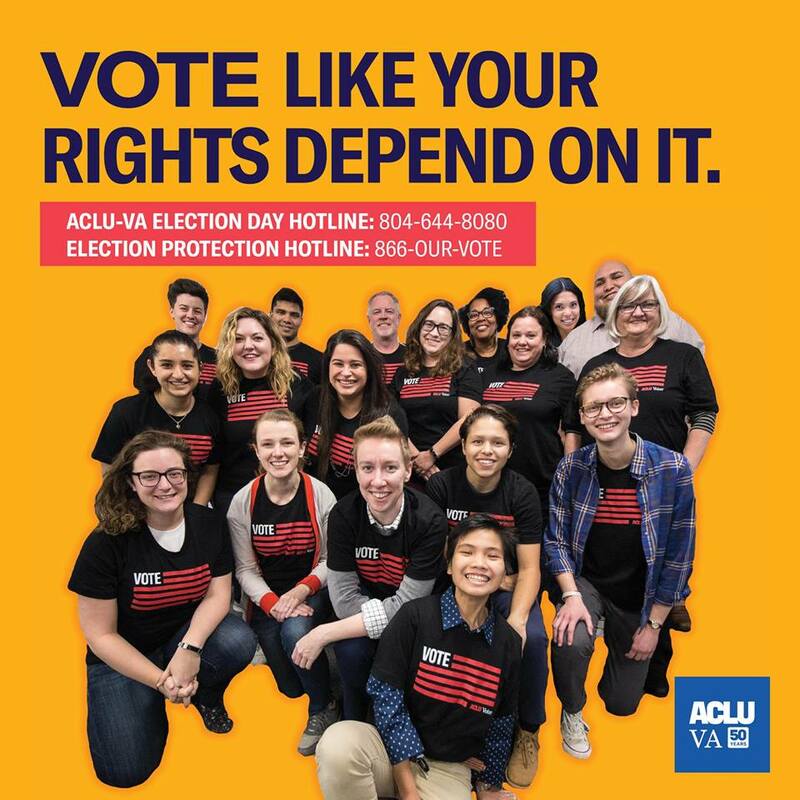 The partnership between RISE for Youth, the Virginia Civic Engagement Table and PauseLab works to address systems of injustice and has developed a program that trains youth advocates with a participatory budgeting approach. Their work aims to break down the barriers that separate youth from government officials and activities. These efforts will position youth as change agents in their communities and in our Commonwealth by giving them deep, meaningful experience in community engagement and defining them as community leaders. Virginia Early Childhood Foundation and their partners — Peter Paul Development Center, Greater Richmond SCAN (Stop Child Abuse Now), Family Lifeline, and the Office of Mayor Levar Stoney — envision a program that will expand the Richmond Area Service Alliance, support a Community Liaison to link families’ experiences with human service systems for problem-solving, and actively identify barriers facing families engaged in the human service sector. 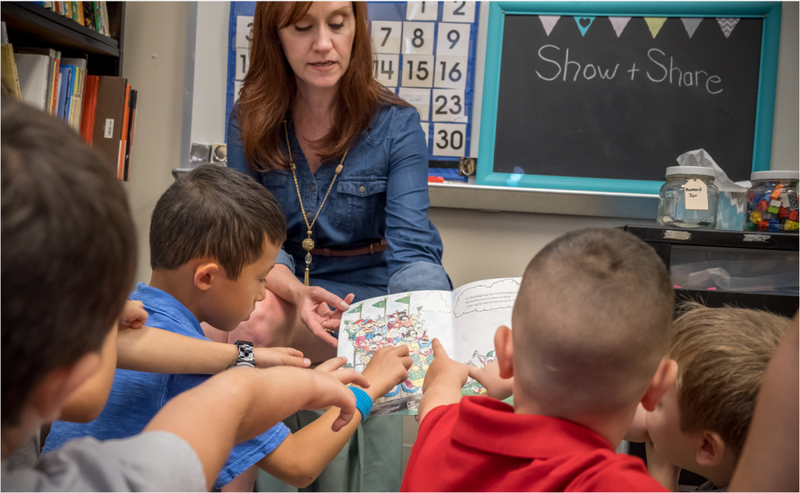 With a trauma-informed lens, this program seeks to educate local and state leaders on how to collaboratively problem-solve potential solutions to common barriers to a families’ ability to thrive. The CIG will be awarded to one of these finalists on March 5, 2019. 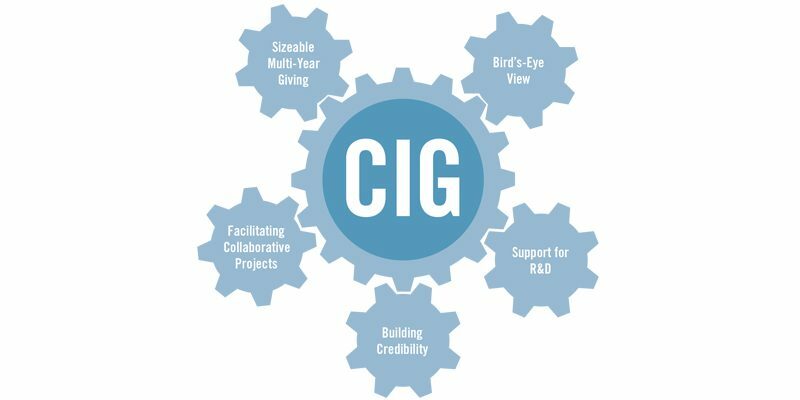 Robins Foundation released the CIG Illuminating Perspectives report, which shows the impact of the innovation grant since it launched in 2014. In addition, a partnership framework was created, and the 2019 CIG cycle was extended. The expanded process allowed applicants more time to strengthen their proposals, prepare for the different stages of the CIG process, confirm partnership commitments and roles, and assess ways that advancing through the process might complement or amplify their existing work. Robins Foundation was established in 1957 and serves to advance the greater Richmond community through strategic partnerships, collaborations and education, all of which will serve as a model for creating an environment of fairness and opportunity for everyone to thrive. To achieve this vision, Robins continues to conduct and support initiatives that encourage policy shifts, align with peers and nonprofits around community issues, and make investments that cultivate and support innovative solutions. For more information about the Robins Foundation, the Robins family, or grant deadlines and giving focus go here. Find the right talent to meet your diverse recruitment needs during the annual Nonprofit and Social Services Career Fair at Virginia Commonwealth University. 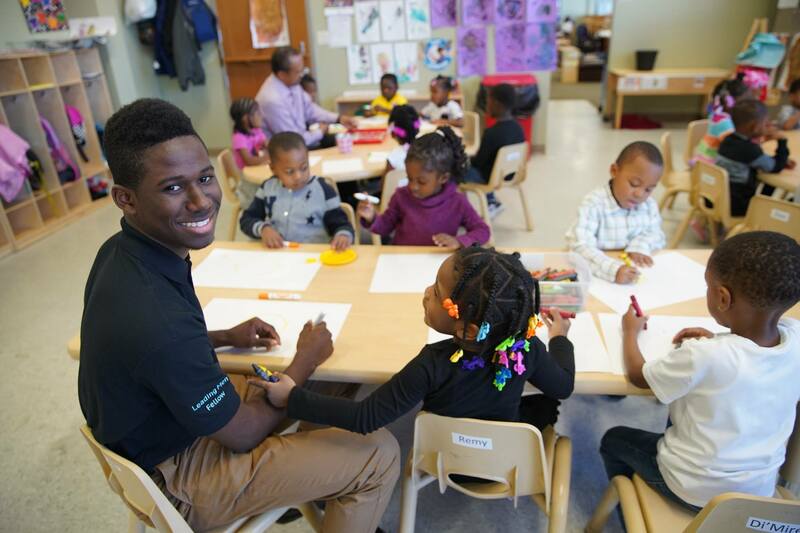 VCU students are committed to serving their community and contribute more than 1.3 million hours of community service annually so they can develop skills to be successful in their careers. 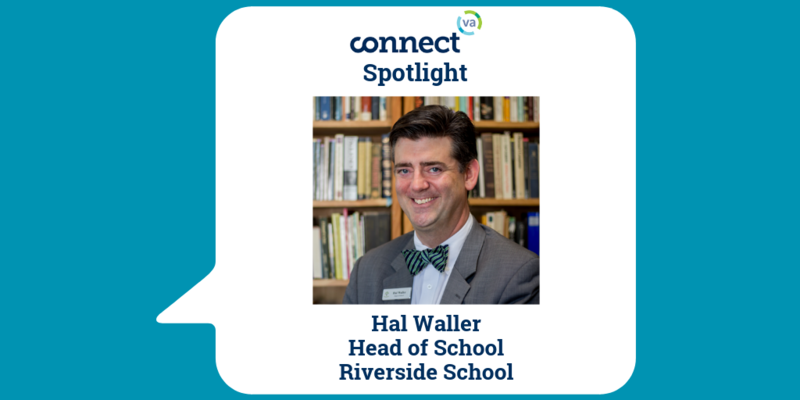 Whether you are seeking volunteers, interns, part or full-time employees, we are excited to connect you to our talented students. 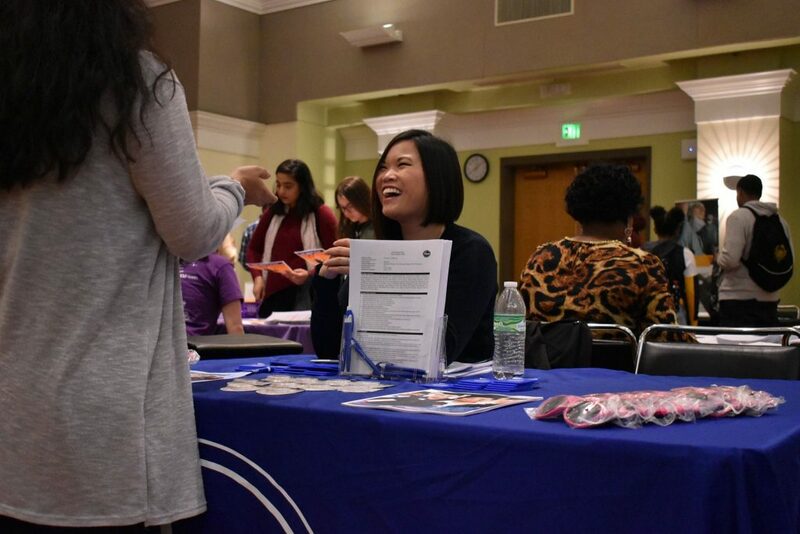 More than 300 students are anticipated to attend and are interested in pursuing careers and internships in the nonprofit and social services sectors. There is no fee to attend this event as an employer, but registration is required and includes one table, two chairs, complimentary parking for one vehicle, employer lounge with refreshments and publicity. In your eyes, how has Richmond changed over the course of your career? “Neighborhoods are where jobs go to spend the night.” I put that on my email signature because I believe the biggest change in Richmond is the recognition that vibrant neighborhoods will drive Richmond’s economic future. 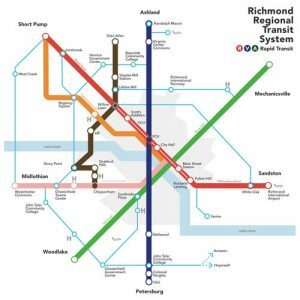 For the past, decade millennials have been flocking to Richmond neighborhoods. They want walk-ability, social connectivity, vibrant small businesses and affordable housing. 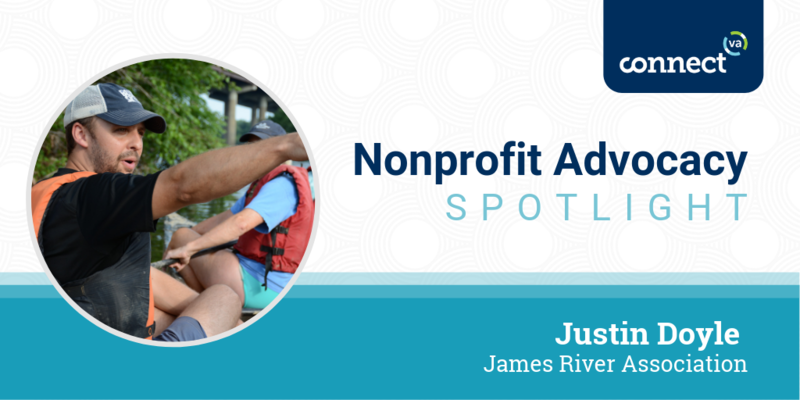 For more than 25 years, Richmond nonprofits, the city, and philanthropic partners have targeted their investments and work efforts to improve the quality of life in many Richmond neighborhoods. But we can do more. 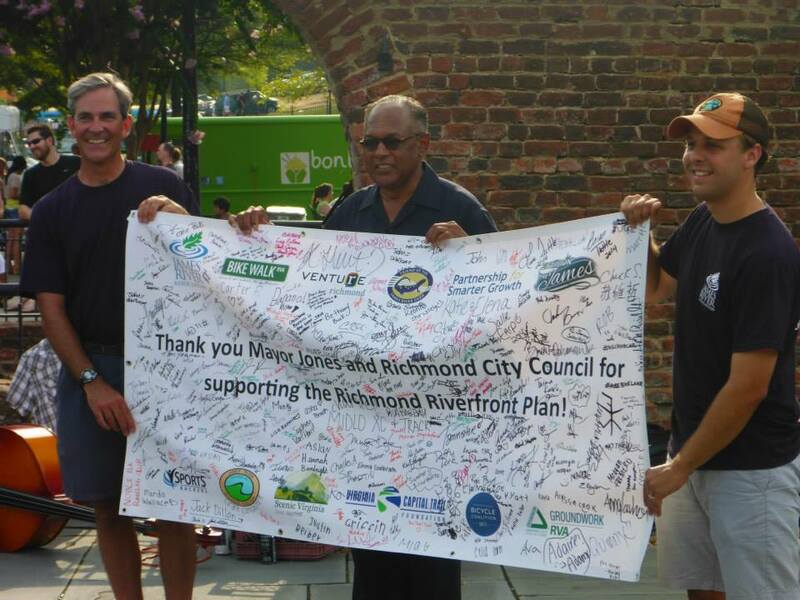 I firmly believe that sustained investments in Richmond neighborhoods will yield a lasting return. 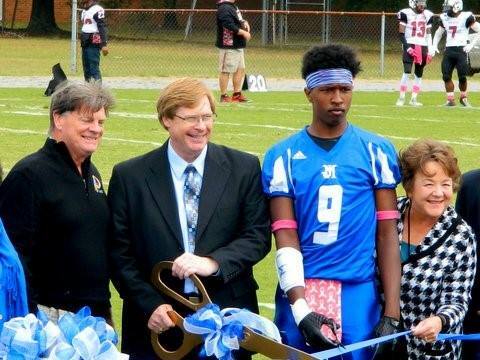 Together, with Virginia LISC and the NFL Foundation’s Grassroots program, Candice spearheaded efforts to have six football fields developed in Richmond and Petersburg during her tenure. The Grassroots program provides the resources to improve the quality, safety and accessibility of local football fields. What do you consider your biggest career-defining moment? 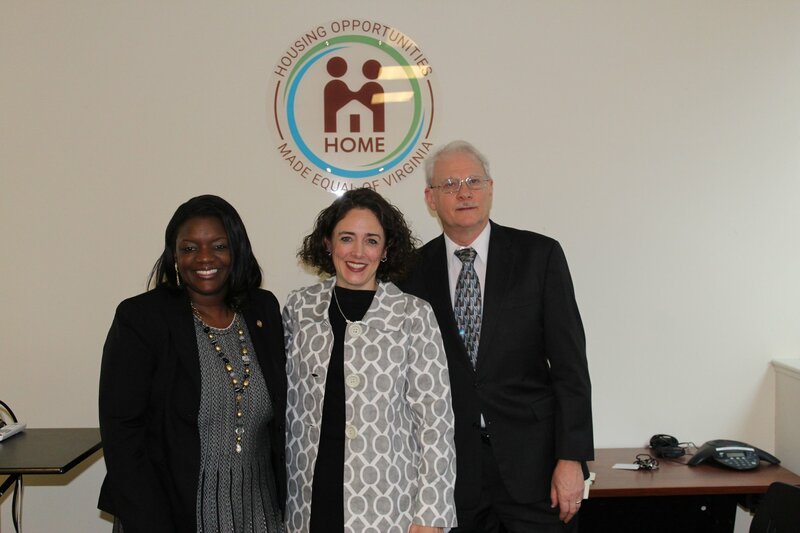 Years ago, as a supportive housing developer, I was working with three cities in Hampton Roads to create residences in each city for homeless single adults. Not yet accustomed to the type of permanent supportive housing we were proposing, we were struggling to secure enough support to do one residence in each city. One day, driving back on Interstate 64, I got a crazy idea – could we combine the efforts and finances of three cities to build one initial regional project? 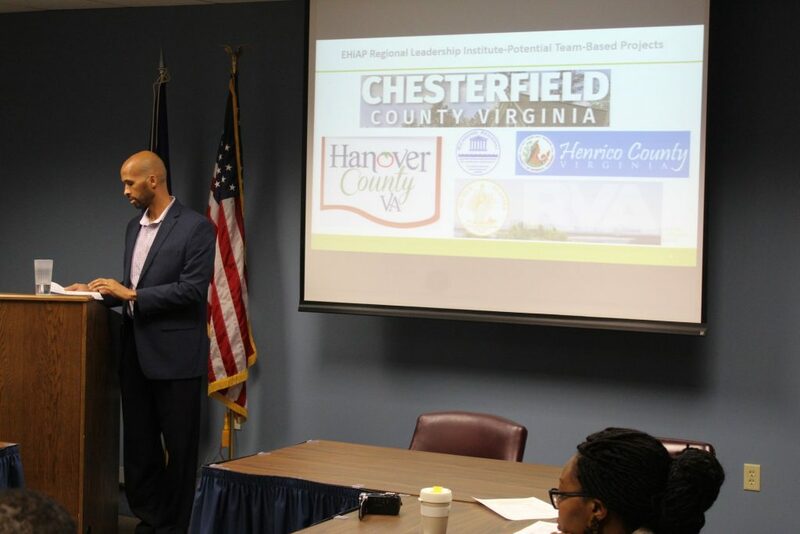 With great local partners, we did indeed secure support from three mayors, three city councils and HUD (who had never done a project with three separate city HUD allocations). This was a defining moment for me. This was not something that COULD NOT be done, rather it was simply something that HAD not been done! The resulting project, Gosnold Apartments, was the nation’s first regional supportive housing residence for homeless adults and has served as a model that Virginia Supportive Housing has replicated in several communities in Virginia and elsewhere. We need to be willing to think of new and creative ways to work with partners. No one had thought about trying to partner with three different localities on one supportive housing project, but with the right open-minded people in the room, forging partnerships like that can result in life-changing projects like Gosnold. 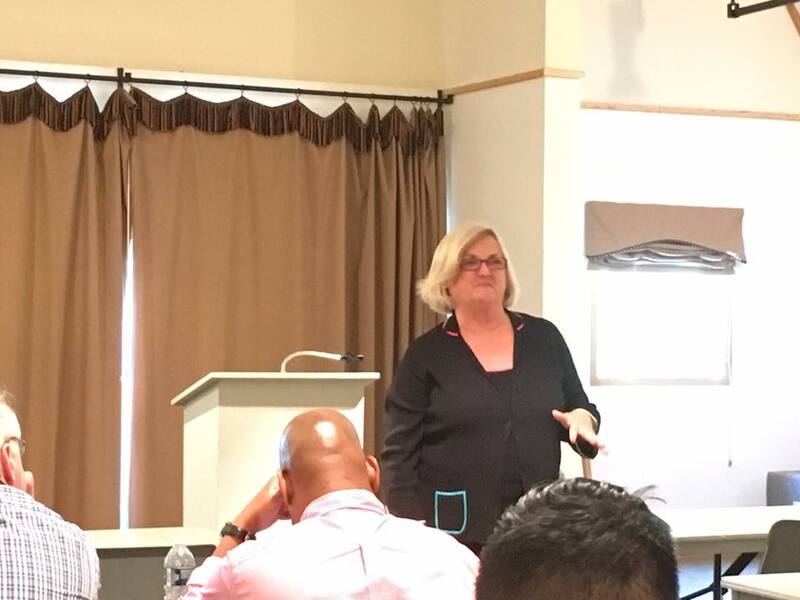 What’s the biggest lesson you’ve learned leading VA LISC? I’ve learned that we need to always listen first to those who have the most at stake – neighborhood residents. And we need to be willing to broaden the circle of partners to ensure that there are a range of perspectives to come up with the best, most creative solutions for community challenges. 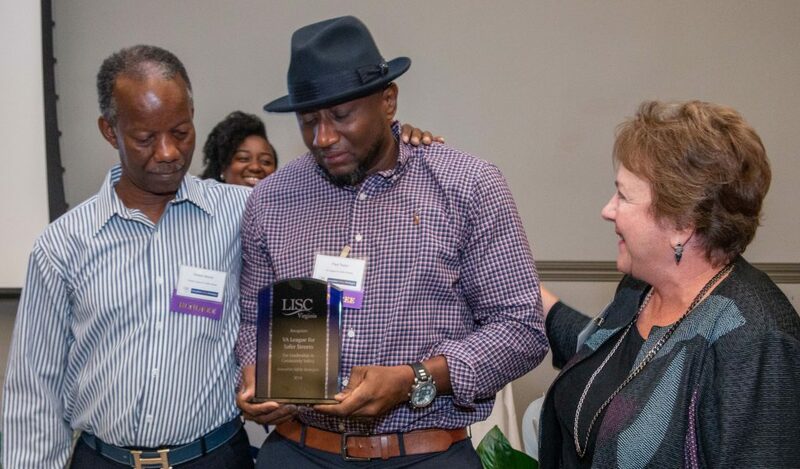 Virginia LISC, under Candice’s leadership, has recognized Richmond community leaders for their exemplary work to support under served neighborhoods and residents. The Celebrating Community Leaders event has been a signature annual event of LISC’s that Candice spearheaded to shed light on the people and programs doing this incredible work. What one piece of advice would you give to someone starting a career in the nonprofit sector, today? 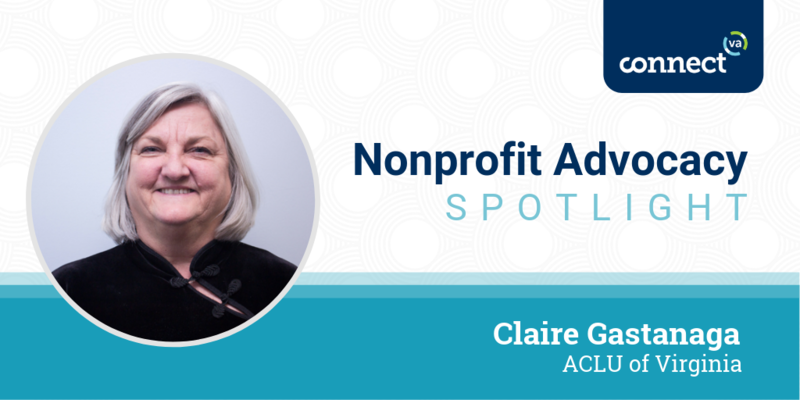 What one piece of advice would you give to another Executive Director in the nonprofit sector. “Share the stage.” Individuals who are successful in the long term are those who appreciate and elevate the talents of their team, of their community partners and of other nonprofit leaders. Know that there is a time to stand front and center and a time to stand back and applaud loudly the work of your colleagues. What do you hope for VA LISC in the future? I am looking forward to seeing all the new and innovative programming that my successor will direct. I plan to be one of his or her biggest cheerleaders. What do you hope for the local nonprofit sector in the future? The nonprofit community serves as our community safety net – catching those who “fall” and providing them with needed services and assistance. 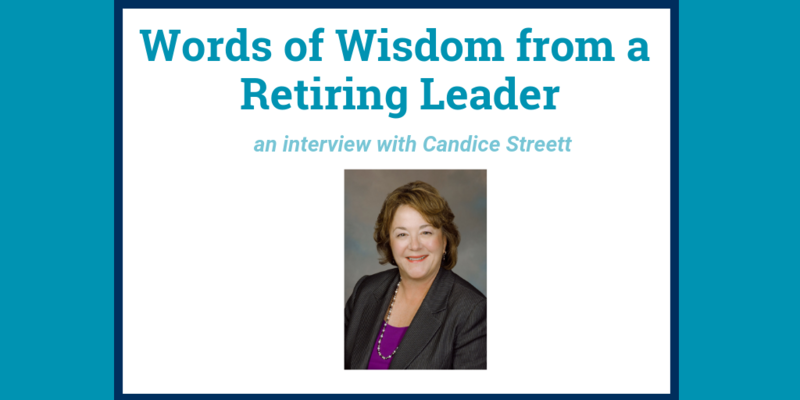 However, many nonprofit leaders – staff and board – are getting “long in the tooth,” which is a nice way of saying that many of us are approaching retirement age. That portends opportunities for new organizational and board leaders. With this in mind, LISC has worked to encourage and develop new community development leaders with scholarships to Leadership Metro Richmond and the Emerging Nonprofit Leaders Program. LISC also developed a LISC board committee for young leaders seven years ago. My hope is that our industry will find we have cultivated a wealth of passionate, committed leaders to take our places and ensure we continue to have a vibrant community safety net. The staff of Virginia LISC. I have described my phase as “downshifting.” I plan to do a bit of consulting, traveling overseas, and creative writing. With the recent gift of a fishing license, you can expect to see me sitting on the bank of the river with my fishing pole in the water, sipping wine and making notes for a murder mystery. I will always be deeply grateful to have worked in this industry with talented and committed neighborhood leaders, nonprofit partners, and corporate and foundation visionaries. The Help Somebody Hall of Fame celebrates and recognizes good people doing good work in RVA. We encourage our readers to nominate nonprofit staff, volunteers, board members and community members who are making a positive difference. In December, we are recognizing Beth Ayn Stansfield, who is the founder of Stay Strong Virginia – a nonprofit whose mission is to expand and enhance the existing services to those impacted by an eating disorder in the State of Virginia by raising awareness, education and providing direct support with respect and empathy.